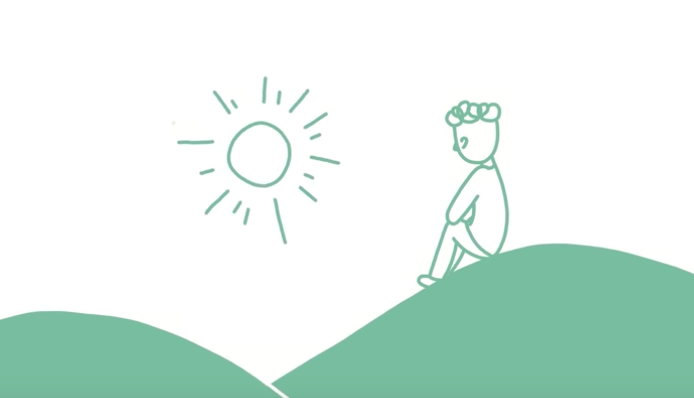 This animation from School of Life explains why you may not always feel in the moment, and why that’s ok.
We’ve all had those days where we just don’t feel all there. It could be during a friend’s party, where you struggle to stay jovial and laugh while stuck in your worried thoughts. Or it could be during more somber occasions, where you feel detached from the same sadness that is weighing on everyone else. Living in the moment is often a challenge, even for those who practice mindfulness regularly. 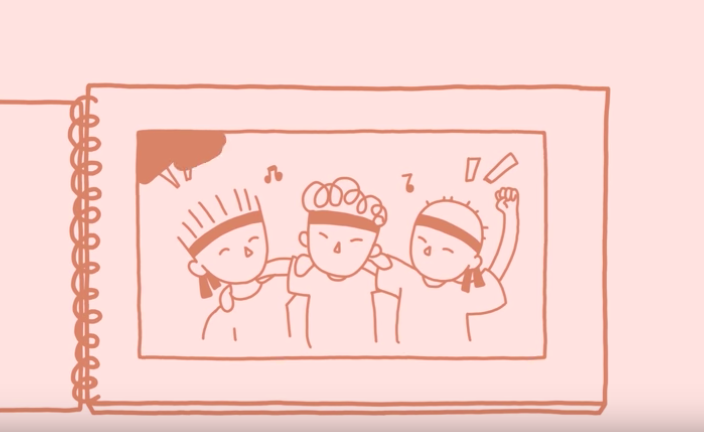 In this animation from School of Life, Alain de Botton shares four ways you can reconnect with the present experience. 1. 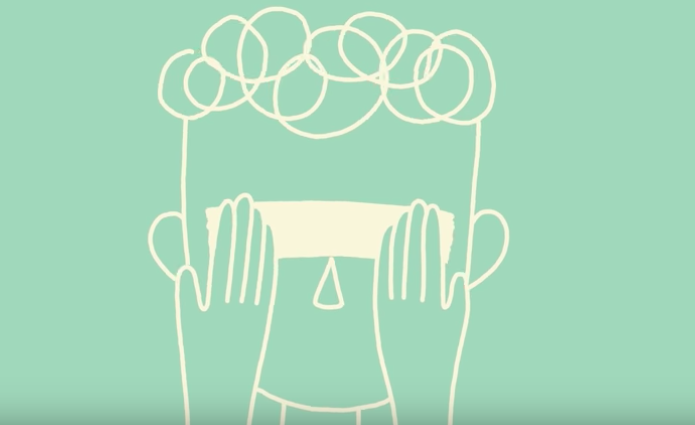 Recognize you may not always feel how you’re meant to—and that’s ok.
De Botton explains that life is full of moments where we are expected to feel certain things towards certain situations. On birthdays, we’re meant to feel happy. On funerals, we’re meant to feel sad. In reality, our emotions can be much more complex. Our emotions tend to move far more slowly than life does. Recognizing that your emotions may not naturally match your current circumstance can help you feel less detached, and more open to feeling exactly how it is you need to feel. While it may feel alarming to not have your emotions match your circumstances, there are many good reasons for this. For example, it could be that you’ve learned early on to guard your emotions and reactions. There’s a simple reason for that, too. As creatures who have evolved by defending ourselves, we can’t always turn off our anxious mind—even when we have time off work and a sunny vacation at our disposal. De Botton explains that our emotions tend to move far more slowly than life does. It’s not that the emotions you’re feeling are “wrong”—but rather that they’re taking more time to develop than you might expect them to. 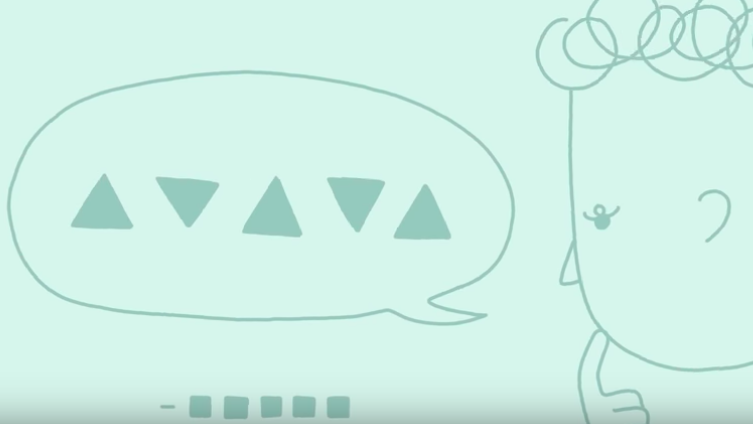 Ultimately, it’s not that the emotions you’re feeling are “wrong”—but rather that they’re taking more time to develop than you might expect them to. Spacing out every once and a while is natural. Instead of fighting back against a wandering mind, cut yourself—and others—more slack. “A lover who isn’t always there in the act might return if they aren’t pressured to do so too actively; someone who isn’t happy on holiday might grow a little more so if we don’t demand that they smile all the time,” de Botton says. Instead of forcing yourself to feel a certain way in the moment, notice how you feel as the event unfolds, regardless of how that may be. “Not being able to be in the moment isn’t a sign that we are strange or defective, but that we have started to be rightly faithful to ourselves.” de Botton concludes.